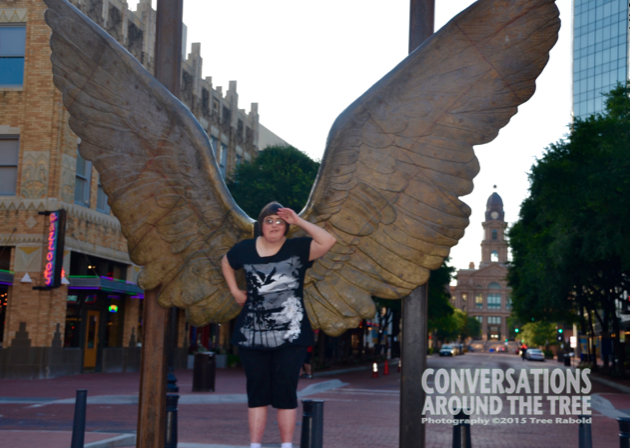 This interactive art exhibit is a recent addition to Sundance Square in downtown Fort Worth. It is part of a traveling art exhibit called “Wings of the City.” The artist is Jorge Morin. 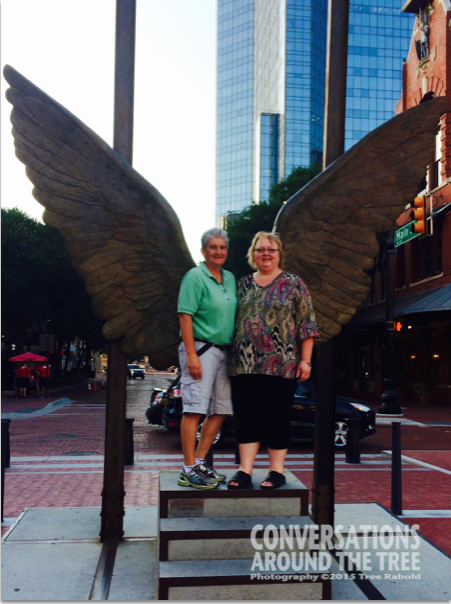 Last night we went downtown and took our turn at posing with the angel wings. This entry was posted in Uncategorized and tagged 365 photos, angels, Wings of the City on June 26, 2015 by treerabold.